Healthy oceans are on the minds of Marc and Lynne Benioff, and they showed it today with a $1.5 million donation to the Sustainable Ocean Alliance (SOA), a new nonprofit attempting to promote and incubate conservation-focused startups. The money will considerably expand the organization’s upcoming Ocean Solutions accelerator. Benioff appeared Wednesday on a panel at Davos about the “ocean economy,” at which he mentioned the donation and SOA. He joined rather a powerhouse lineup to address the issues of environmental dangers threatening wallets as well as whales: Michelle Bachelet (U.N. High Commissioner for Human Rights), Enric Sala (an Explorer-in-Residence at National Geographic), Nina Jensen of REV Ocean and indefatigable environmental crusader Al Gore. I certainly wish I could have attended. It’s clear that the Salesforce founder is as concerned about environmental issues as he is about social ones, and as ready to write a check when there’s a compelling reason to do so. The SOA started its accelerator last year with a handful of interesting ocean- and conservation-focused startups: a device to keep fish from getting tangled in nets, wave-harvesting energy tech, materials for oil cleanups, that sort of thing. 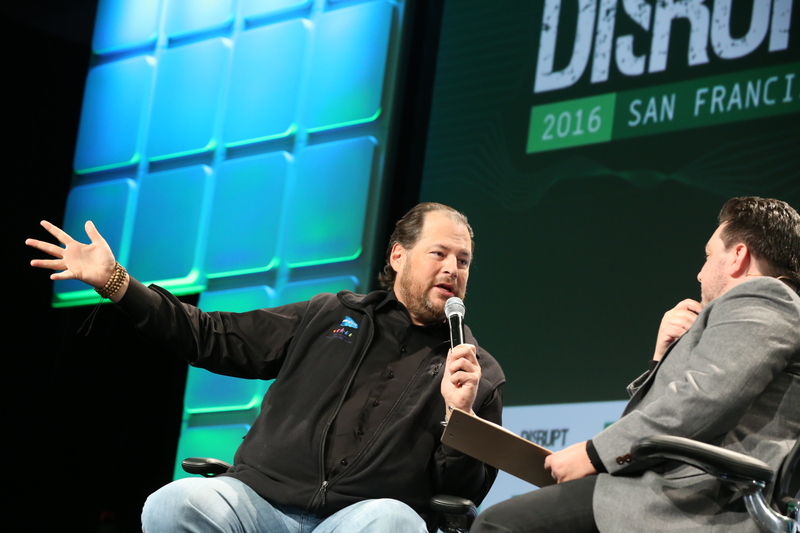 It’s got another batch planned and the Benioff’s donation will allow it to triple the number of startups included. Several will be going to the “Accelerator at Sea,” an eight-day event aboard a Lindblad Expeditions ship sailing from Alaska this summer. Last year the organization also got a sudden cash infusion from a motivated donor: the mysterious Pine, who distributed some $86 million to charity (and nonprofits like SOA) after making a tremendous amount of money on Bitcoin. These are one-off donations, naturally — so of course financial sustainability, as well as ecological, is on Fernandez’s mind. “We realize that we cannot simply depend on individual donors or anonymous cryptocurrency gifts. We have had difficulty finding traditional forms of funding for SOA due to the limited amount of funds that are allocated to such a niche sector,” Fernandez, who is at Davos but unfortunately not on the aforementioned panel, told me. It’s good to ask the un-jaded youngs about things like this, and SOA specifically aims to find and promote young entrepreneurs and activists, so it’s on brand. I’ve read through it and there’s a lot of info about impending disasters, many of which have to do with climate change, but plenty are caused by people as well (or rather, caused by people more recently). It’s a bit depressing, but what isn’t? Hopefully the cash infusion will help scoop up more of those motivated young folks into the program. We’ll probably hear more from the SOA when it finds some more startups to load into the accelerator.